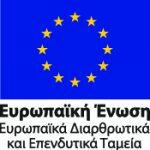 Geological and Geotechnical Investigation – ΑΤΤΙΚΟ ΜΕΤΡΟ Α.Ε. The geological and geotechnical Investigation that was executed in order to determine the geological and geotechnical conditions along Line 4A included, among others, the drilling of 190 sampling boreholes (in conjunction with the execution of a number of in-situ tests at these boreholes), the execution of lab tests on approximately 5800 samples obtained from these sampling boreholes, the installation of 162 piezometers to monitor the ground water level and the execution of pressuremeter tests in 8 specifically drilled boreholes. The investigation revealed that the geological environment of the Project consists of bedrock formations including the Athens Schist and the Sandstone – Marl Series, while in certain areas Crest Limestone, Alepovouni Formation and Ultrabasic Rocks are encountered. Hymettus Alluvial Fan Deposits, Fluvio-torrential Deposits from various hydrographic axes in the area and superficial Artificial Deposits of a small thickness are deposited on top of the bedrock. The most common lithological types that are encountered along the alignment are meta-sandstone, meta-siltstone and shale, usually in alternations, the frequency of which is almost 50%. The lithological types that follow are sandstone, claystone, marly limestone of the Sandstone – Marl Series (cumulative frequency around 24%) and breccia, claystone, clayey gravel and clay of the Alluvial Fan Deposits (cumulative frequency around 12%). The remaining 14% consists of weathering mantle (2.5%) of various formations, phyllite, schist, serpentinite, dolomite, shear zones, various soils, etc. The Project intersects Ilissos river and its tributaries, as well as the torrents descending from Tourkovounia in the areas of Galatsi, Kypseli and Alexandras. With a few exceptions, the other hydrographic axes have been embedded and converted into underground rainwater ducts. The groundwater level is expected, in general, above the tunnel crown. Exceptions to this rule are some short sections, where the groundwater level is within or below the tunnel profile.